For other uses, see Honeywell (disambiguation). Honeywell International Inc. is an American multinational conglomerate company that makes a variety of commercial and consumer products, engineering services and aerospace systems for a wide variety of customers, from private consumers to major corporations and governments. The company operates four business units, known as Strategic Business Units – Honeywell Aerospace, Home and Building Technologies (HBT), Safety and Productivity Solutions (SPS), and Honeywell Performance Materials and Technologies. Honeywell is a Fortune 100 company. In 2018, Honeywell ranked 77th in the Fortune 500. Honeywell has a global workforce of approximately 130,000, of whom approximately 58,000 are employed in the United States. The company is headquartered in Morris Plains, New Jersey. Its current chief executive officer is Darius Adamczyk. The company and its corporate predecessors were part of the Dow Jones Industrial Average Index from December 7, 1925 until February 9, 2008. The company's current name, Honeywell International Inc., is the product of a merger in which Honeywell Inc. was acquired by the much larger AlliedSignal in 1999. The company headquarters were consolidated with AlliedSignal's headquarters in Morristown, New Jersey; however the combined company chose the name "Honeywell" because of its superior brand recognition. In 2015, the headquarters were moved to Morris Plains. On November 30, 2018, Honeywell announced that its corporate headquarters would be moved to Charlotte. Honeywell has many brands that commercial and retail consumers may recognize, including its line of home thermostats (particularly the iconic round type) and Garrett turbochargers. In addition to consumer home products, Honeywell itself produces thermostats, sensors, security alarm systems, and air cleaners and dehumidifiers. The company also licenses its brand name for use in various retail products made by partner manufacturers, including air conditioners, heaters, fans, security safes, home generators, and paper shredders. Although Mark Honeywell’s Heating Specialty Company was not established until 1906, today’s Honeywell traces its roots back to 1885 when the Swiss-born Albert Butz invented the damper-flapper, a thermostat for coal furnaces, to automatically regulate heating systems. The following year he founded the Butz Thermo-Electric Regulator Company. In 1888, after a falling out with his investors, Butz left the company and transferred the patents to the legal firm Paul, Sanford, and Merwin, who renamed the company the Consolidated Temperature Controlling Company. As the years passed, CTCC struggled with growing debts, and they underwent several name changes in an attempt to keep the business afloat. After the company was renamed to the Electric Heat Regulator Company in 1893, W.R. Sweatt, a stockholder in the company, was sold "an extensive list of patents" and named secretary-treasurer. :22 On February 23, 1898 he bought out the remaining shares of the company from the other stockholders. In 1906, Mark Honeywell founded the Honeywell Heating Specialty Company in Wabash, Indiana, to manufacture and market his invention, the mercury seal generator. As Honeywell’s company grew (thanks in part to the acquisition of Jewell Manufacturing Company in 1922 to better automate his heating system) it began to clash with the renamed Minneapolis Heat Regulator Company. This led to the merging of both companies into the publicly held Minneapolis-Honeywell Regulator Company in 1927. Honeywell was named the company's first president, alongside W.R. Sweatt as its first chairman. W.R. Sweatt and his son Harold provided 75 years of uninterrupted leadership for the company. W.R. Sweatt survived rough spots and turned an innovative idea – thermostatic heating control – into a thriving business. Harold, who took over in 1934, led Honeywell through a period of growth and global expansion that set the stage for Honeywell to become a global technology leader. The merger into the Minneapolis-Honeywell Regulator Company proved to be a saving grace for the corporation. The combined assets were valued at over $3.5 million, with less than $1 million in liabilities just months before Black Monday. :49 In 1931, Minneapolis-Honeywell began a period of expansion and acquisition when they purchased Time-O-Stat Controls Company, giving the company access to a greater number of patents to be used in their controls systems. 1934 marked Minneapolis-Honeywell’s first foray into the international market, when they acquired the Brown Instrument Company, and inherited their relationship with the Yamatake Company of Tokyo, a Japan-based distributor. :51 Later that same year, Minneapolis-Honeywell would also start distributorships across Canada, as well as one in the Netherlands, their first European office. This expansion into international markets continued in 1936, with their first distributorship in London, as well as their first foreign assembly facility being established in Canada. By 1937, ten years after the merger, Minneapolis-Honeywell had over 3,000 employees, with $16 million in annual revenue. Having survived the Depression, Minneapolis-Honeywell was approached by the US military for engineering and manufacturing projects. In 1941, Minneapolis-Honeywell developed a superior tank periscope and camera stabilizers, as well as the C-1 autopilot. The C-1 revolutionized precision bombing in the war effort, and was used on the two B-29 bombers that dropped atomic bombs on Japan in 1945. The success of these projects led Minneapolis-Honeywell to open an Aero division in Chicago on October 5, 1942.:73 This division was responsible for the development of the formation stick to control autopilots, more accurate gas gauges for planes, and the turbo supercharger. :79 In 1950, Minneapolis-Honeywell’s Aero division was contracted for the controls on the first US nuclear submarine, USS Nautilus. :88 The following year, the company acquired Intervox Company for their sonar, ultrasonics, and telemetry technologies. Honeywell also helped develop and manufacture the RUR-5 ASROC for the US Navy. In 1953, in cooperation with the USAF Wright-Air Development Center, Honeywell developed an automated control unit that could control an aircraft through various stages of a flight, from taxiing, to takeoff, to the point where the aircraft neared its destination and the pilot took over for landing. Called the Automatic Master Sequence Selector, the onboard control operated similarly to a player piano to relay instructions to the aircraft's autopilot at certain way points during the flight, significantly reducing the pilot's workload. Technologically, this effort had parallels to contemporary efforts in missile guidance and numerical control. Honeywell also developed the Wagtail missile with the USAF. In 1980, Honeywell bought Incoterm Corporation to compete in both the airline reservations system networks and bank teller markets. In year 1975, Honeywell introduced the world's first Total Distributed Control System (TDC 2000) that revolutionized the entire process control industry with a centralized view of de-centralized control and a fully redundant communication link for continuous processes. Honeywell further introduced a state-of-the-art Total Distributed Control System 3000 or TDC 3000 in 1985. The new TDC 3000 system adopted a brand new architecture that allowed the existing TDC 2000 system to be integrated with the new system as well as future expansion through a new in-house developed network operating system for performing various plant-wide control, monitoring, alarming, reporting, and historical date storage & retrieval functions. A new modular controller, Process Manager, was introduced in a later date that included advanced control strategies and modeling as part of the new TDC-3000 system. TDC 3000 system was the backbone of Honeywell Industrial Solutions for Petroleum, PetroChem, Fine Chemical, Pulp & Paper, Power Gen, and many other industries. Along with TDC systems, Honeywell also developed a digital communication protocol to allow Honeywell's Smart Transmitters family of products to interface with TDC system in a non-ambiguous digital mode that delivered Honeywell's commitment of total system integration from sensors to boardroom. On April 12, 1955, Minneapolis-Honeywell started a joint venture with Raytheon called Datamatic to enter the computer market and compete with IBM. 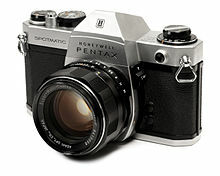 :118 Two years later in 1957, their first computer, the D-1000, was sold and installed. In 1960, just five years after embarking on this venture with Raytheon, Minneapolis-Honeywell bought out Raytheon’s interest in Datamatic and turned it into the Electronic Data Processing division, later Honeywell Information Systems (HIS) of Minneapolis-Honeywell. :118 Honeywell also purchased minicomputer pioneer Computer Control Corporation (3C's) in 1966, renaming it as Honeywell's Computer Control Division. Through most of the 1960s, Honeywell was one of the "Snow White and the Seven Dwarfs" of computing. 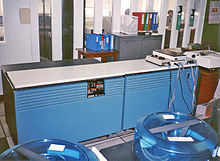 IBM was "Snow White", while the dwarfs were the seven significantly smaller computer companies: Burroughs, Control Data Corporation, General Electric, Honeywell, NCR, RCA, and UNIVAC. Later, when their number had been reduced to five, they were known as "The BUNCH", after their initials: Burroughs, UNIVAC, NCR, Control Data Corporation, and Honeywell. In 1970 Honeywell acquired GE's computer business forming Honeywell Information Systems which in 1986 became Honeywell Bull (now Groupe Bull), a global joint venture with Compagnie des Machines Bull of France and NEC Corporation of Japan. By 1991 Honeywell was no longer involved in the computer business. 1986 marked a new direction for Honeywell, beginning with the acquisition of Sperry Aerospace. In 1990, Honeywell spun off their Defense and Marine Systems business into Alliant Techsystems, as well as their Test Instruments division and Signal Analysis Center to streamline the company’s focus. Honeywell continues to supply aerospace products including electronic guidance systems, cockpit instrumentation, lighting, and primary propulsion and secondary power turbine engines. In 1996, Honeywell acquired Duracraft and began marketing its products in the home comfort sector. Honeywell is in the consortium that runs the Pantex Plant that assembles all of the nuclear bombs in the United States arsenal. Honeywell Federal Manufacturing & Technologies, successor to the defense products of AlliedSignal, operates the Kansas City Plant which produces and assembles 85 percent of the non-nuclear components of the bombs. Honeywell also began the SmartHouse project to combine heating, cooling, security, lighting, and appliances into one easily controlled system. They continued the trend in 1987 by releasing new security systems, and fire and radon detectors. Five years later, in another streamlining effort, Honeywell combined their Residential Controls, Commercial Systems, and Protections Services divisions into Home and Building Control, which then acquired the Enviracare air cleaner business. :183 By 1995, Honeywell had condensed into three divisions: Space and Aviation Control, Home and Building Control, and Industrial Control. Honeywell dissolved its partnership with Yamatake Company and consolidated its Process Control Products Division, Process Management System Division, and Micro Switch Division into one Industrial Control Group. It has further acquired Measurex System and Leeds & Northrup Company to strengthen its portfolio. On June 7, 1999, Honeywell was acquired by AlliedSignal, who elected to retain the Honeywell name for its brand recognition. The former Honeywell moved their headquarters of 114 years to AlliedSignal's in Morristown, NJ. While "technically, the deal looks more like an acquisition than a merger...from a strategic standpoint, it is a merger of equals." AlliedSignal's 1998 revenue was reported at $15.1 billion to Honeywell's $8.4 billion, but together the companies share huge business interests in aerospace, chemical products, automotive parts, and building controls. In 2000, the new Honeywell acquired Pittway for $2.2 billion to gain a greater share of the fire-protection and security systems market, and merged it into their Home and Building Control division, taking on Pittway's $167 million in debt. Analyst David Jarrett commented that "while Honeywell offered a hefty premium, it's still getting Pittway for a bargain" at $45.50 per share, despite closing at $29 the week before. Pittway’s Ademco products complemented Honeywell’s existing unified controls systems. In October 2000, Honeywell (then valued at over $21 billion) accepted a takeover bid from then-CEO Jack Welch of General Electric. The American Department of Justice cleared the merger, while "GE teams swooped down on Honeywell" and "GE executives took over budget planning and employee reviews." However, on July 3, 2001, the European Commission's competition commissioner, Mario Monti blocked the move. This decision was taken on the grounds that with GE's dominance of the large jet engine market (led by the General Electric CF34 turbofan engine), its leasing services (GECAS), and Honeywell's portfolio of regional jet engines and avionics, the new company would be able to "bundle" products and stifle competition through the creation of a horizontal monopoly. US regulators disagreed, finding that the merger would improve competition and reduce prices; United States Assistant Attorney General Charles James called the EU's decision "antithetical to the goals of antitrust law enforcement." This led to a drop in morale and general tumult throughout Honeywell, and in turn, the then-CEO Michael Bonsignore was fired as Honeywell looked to turn their business around. The current "Honeywell International Inc." is the product of a merger between AlliedSignal and Honeywell Inc. Although AlliedSignal was twice the size of Honeywell, the combined company chose the name "Honeywell" because of its superior brand recognition. However, the corporate headquarters were consolidated to AlliedSignal's headquarters in Morristown, New Jersey rather than Honeywell's former headquarters in Minneapolis, Minnesota. When Honeywell closed its corporate headquarters in Minneapolis, over one thousand employees lost their jobs. A few moved to Morristown or other company locations, but the majority were forced to find new jobs or retire. Soon after the merger, the company's stock fell significantly, and did not return to its pre-merger level until 2007. In January 2002 Knorr-Bremse – who had been operating in a joint venture with Honeywell International Inc. – assumed full ownership of its ventures in Europe, Brazil, and the USA. Bendix Commercial Vehicle Systems became a subsidiary of Knorr-Bremse AG. Although declining in influence, Honeywell maintains a presence in emerging industries, such as Northern Alberta's oil sands. Honeywell's Plant integrator is currently deployed in some of the most important plant-sites in the Oil Sands (Syncrude, Suncor, and others). In February that year, Honeywell’s board appointed their next CEO and chairman, David M. Cote. Cote was instrumental in uniting the company cultures of Honeywell, AlliedSignal, and Pittway. Since 2002, Honeywell has made more than 80 acquisitions and 60 divestures, while adding $12 billion in new sales and increasing its labor force to 131,000 as a result of these acquisitions. Under his tenure, Honeywell's stock has nearly tripled from $35.23 in April 2002 to $99.39 as of January 2015. Honeywell made a £1.2bn ($2.3bn) bid for Novar plc in December 2004. The acquisition was finalized on March 31, 2005. In October 2005, Honeywell bought out Dow's 50% stake in UOP for $825 million, giving them complete control over the joint venture in petrochemical and refining technology. In May 2010, Honeywell outbid UK-based Cinven and acquired the French company Sperian Protection for $1.4 billion, which was then incorporated into its automation and controls safety unit. Honeywell moved its international headquarters from Morristown to Morris Plains in October 2015. The 475,000-square-foot building on 40 acres in Morris Plains features state-of-the-art technology and greater energy efficiency than Honeywell’s Morristown campus, which was underutilized, outdated and costly, according to Cote. On December 29, 2015 Honeywell completed the sale of Elster for US$5.1B (announced on July 28, 2015) entering the space of gas electricity and water meters with a specific focus on smart meters and hoped to be a growth driver for Honeywell in 2016 and beyond. The deal also complements the HON Combustion business with the addition of Elster with strong brands such as Kromschroeder and Eclipse. Honeywell International Inc. then acquired the 30% stake in UOP Russell LLC it didn't own already for roughly $240 million in January 2016. In February, Honeywell entered into a definitive agreement to acquire Xtralis, a leading global provider of aspirating smoke detection along with advanced perimeter security technologies and video analytics software, for $480 million from funds advised by Pacific Equity Partners and Blum Capital Partners. The deal was completed on April 1, 2016. 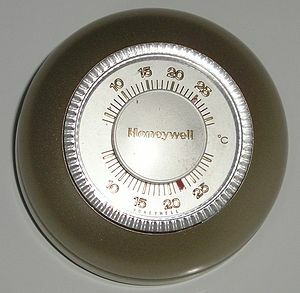 In May 2016, Honeywell International Inc. settled its patent dispute regarding Google subsidiary Nest Labs, whose thermostats Honeywell claimed infringed on several of its patents. Google parent Alphabet Inc. and Honeywell said they reached a "patent cross-license" agreement that "fully resolves" the long-standing dispute. Honeywell sued Nest Labs in 2012. On September 12, 2016, Morris Plain, N.J.-based Honeywell announced that it would invest $20 million in the first-of-its-kind software development center and relocate the headquarters of its nearly $10 billion home and building technologies division from suburban Minneapolis to Atlanta. The expansion will add more than 800 jobs. David Cote stepped down as CEO on April 1, 2017, and was succeeded by Darius Adamczyk, who had been promoted to president and chief operating officer (COO) the previous year. Cote served as executive chairman through April 2018. On October 10, 2017, Honeywell announced plans to spinoff its Homes, ADI Global Distribution, and Transportation Systems businesses into two separate, publicly-traded companies by the end of 2018. On November 29, 2018, Honeywell announced they will move their headquarters to Charlotte. For the fiscal year 2017, Honeywell reported earnings of US$1.933 billion, with an annual revenue of US$40.534 billion, an increase of 3.1% over the previous fiscal cycle. Honeywell's shares traded at over $131 per share, and its market capitalization was valued at over US$108.1 billion in October 2018. Honeywell International is divided into five Strategic Business Groups (SBG): Honeywell Aerospace, Home and Building Technologies, Safety and Productivity Solutions, Honeywell Performance Materials and Technologies, and Honeywell Connected Enterprise. Within SBGs are Strategic Business Units (SBU). Honeywell Aerospace is a global provider of integrated avionics, engines, systems and service solutions for aircraft manufacturers, airlines, business and general aviation, military, space and airport operations. Its Commercial Aviation, Defense & Space and Business & General Aviation business units serve aircraft manufacturers, airlines, business and general aviation, military, space and airport operations. In January 2014, Honeywell Aerospace launched its SmartPath Precision Landing System at Malaga-Costa del Sol Airport in Spain, which augments GPS signals to make them suitable for precision approach and landing, before broadcasting the data to approaching aircraft. In July 2014, Honeywell’s Transportation Systems merged with the Aerospace division due to similarities between the businesses. In April 2018, Honeywell announced to develop laser communication products for satellite communication in collaboration with Ball Aerospace and plans future volume production. The Honeywell Commercial Aviation business unit creates products for large commercial and regional aircraft such as auxiliary power units (APUs), aircraft environmental control systems, electric power systems, engine system accessories, flight data and cockpit voice recorders, air traffic management solutions, radar, navigation and communications systems, aircraft lighting, wheels and brakes. Honeywell Defense & Space business unit creates products such as the Honeywell RQ-16 T-Hawk for the military and space markets including propulsion engines, APUs, environmental control systems, electric power systems, Avionics and flight management systems, radar, navigation and communications systems, inertial sensors, guidance systems, gyroscopes. It also provides logistics services, including depot maintenance and prepositioning, and space systems operations for engineering, designing, fabricating, installing, operating, and maintaining satellite command and control systems. Honeywell Business & General Aviation business unit’s products include aircraft lighting, auxiliary power units, cabin entertainment, cockpit displays, Communication, navigation and surveillance, flight management systems, and propulsion engines. The business group offers services such as flight planning, planning & scheduling, and maintenance and monitoring. Honeywell Transportation Systems produces engine boosting turbochargers for passenger cars and commercial vehicles. Honeywell HBT was created when the SBG Automation and Control Solutions was split into two new SBGs, HBT and Safety and Productivity Solutions, in July 2016. On December 7, 2017, Honeywell announced that it has acquired SCAME, an Italy-based company, to add new fire and gas safety capabilities to its portfolio. Honeywell Building Solutions (HBS) products and services provide energy efficiency and security in buildings and communities. Smart grid, microgrid and on-site power generation, integrated security, building controls, automation, and management, system service, maintenance and optimization, and smart building are examples of the technologies produced by the HBS business unit. HBS optimizes automation technology, designs and delivers microgrids that provide energy security, and delivers demand response and energy-efficiency programs to help utilities and the electrical grid operate optimally. In June 2016, Honeywell announced a new release of its building management system, Enterprise Buildings Integrator (EBI) to support the Middle East region's smart building and cities ambitions. In a statement, Honeywell said that EBI R500 leverages the connectivity of today's buildings to help make them more strategic assets that are green, safe and productive. Honeywell Smarthomes serve customers worldwide to control technologies for buildings, homes and industry; turbochargers; and performance materials. We are building a smarter, safer, and more sustainable world. Honeywell Environmental and Energy Solutions serves industrial and consumer customers. Products include air quality, commercial combustion, commercial components, industrial components, home thermostats (including smart and wi-fi thermostats), residential combustion, whole house air quality, whole house water treatment and control, HVAC zoning, and hydronic heating. Honeywell Security and Fire manufactures electronic security systems, intrusion detection systems, and fire alarms for commercial businesses. They also manufacture products that cover commercial fire alarm and emergency communication systems as well as fire detection and notification devices. The First Alert Professional brand was acquired by Honeywell. The brand was originally owned by Pittway Corp which franchised a network of independently owned security and fire alarm dealers in the western hemisphere from the early 1990s known as First Alert Professional Security Systems. For two decades, First Alert Professional branded (private labelled) security and fire alarm panels and Keypads were manufactured by Ademco, Inc., now owned by Honeywell. Honeywell SPS was created when the SBG Automation and Control Solutions was split into two new SBGs, Home and Building Technologies and Safety and Productivity Solutions, in July 2016. Products in Honeywell Scanning & Mobility (HSM) include mobile computers and bar code scanners, radio frequency identification solutions, voice-enabled workflow and printing solutions. In 2013, Honeywell completed the acquisition of Intermec, which included the Vocollect and Enterprise Mobile brands, and integrated them into Honeywell Scanning & Mobility. Honeywell Sensing and Internet of Things (Honeywell SIoT) produces over 50,000 products ranging from snap action, limit, toggle and pressure switches to position, speed and airflow sensors. Honeywell Industrial Safety produces fixed and portable gas detection systems and personal protective equipment, including: protective clothing; fall and hearing protection products; solutions that protect hands, head, feet, eyes and face; first responder gear (turnout gear, EMS, helmets, gloves, boots and hoods), along with respiratory, welding, first-aid, lockout/tagout and traffic safety equipment. Brands include Xtratuf. The Honeywell Performance Materials and Technologies strategic business group is divided into six business units. Products include process technology for oil and gas processing, fuels, films and additives, special chemicals, electronic materials, and renewable transport fuels. Honeywell UOP is a wholly owned subsidiary of Honeywell International Inc. and is part of Honeywell’s Performance Materials and Technologies strategic business group. Honeywell UOP is an international supplier and licensor of process technology, catalysts, adsorbents, process plants, and consulting services to the petroleum refining, petrochemical, and gas processing industries. Honeywell Process Solutions offers automation control solutions to customers internationally. It serves the process and hybrid industries, including refining, oil and gas, pulp and paper, mining, minerals and metals, bulk and batch chemicals, petrochemicals, pharmaceuticals, power transmission and distribution, and power generation. Honeywell Fluorine Products produces refrigerants, foam insulation blowing agents, aerosols, and solvents. Honeywell Electronic Materials manufactures and supplies the semiconductor industry with electronic chemicals, electronic polymers, targets coil sets and metals, advanced packaging, and thermocouples. Honeywell Resins and Chemicals sells chemical intermediates, including phenol, cyclohexanone and acetone. It is also a major producer of ammonium sulfate fertilizer, a co-product of caprolactam production, which is sold under the Sulf-N® brand. This division was spun off as AdvanSix in 2016. Honeywell Specialty Materials products include specialty films and additives; advanced fibers and composites; intermediates; specialty chemicals; and technologies and materials for petroleum refining. Duncan B. Angove President of Infor, Inc.
Bradley T. Sheares Former chief executive officer of Reliant Pharmaceuticals, Inc.
Robin L. Washington Executive vice president and chief financial officer of Gilead Sciences, Inc.
A more extensive list of products is available at List of Honeywell products and services. Honeywell's acquisitions have consisted largely of businesses aligned with the company's existing technologies. The acquired companies are integrated into one of Honeywell's four business groups (Aerospace, Home and Building Technologies (HBT), Safety and Productivity Solutions (SPS), or Performance Materials and Technologies (PMT)) but retain their original brand name. In 2003, a federal judge in Newark, New Jersey ordered the company to perform an estimated $400 million environmental remediation of chromium waste, citing "a substantial risk of imminent damage to public health and safety and imminent and severe damage to the environment." In the same year, Honeywell paid $3.6 million to avoid a federal trial regarding its responsibility for trichloroethylene contamination in Lisle, Illinois. In 2004, the State of New York announced that it would require Honeywell to complete an estimated $448 million cleanup of more than 74,000 kg (165,000 lbs) of mercury and other toxic waste dumped into Onondaga Lake in Syracuse, NY from a former Allied Chemical property. Honeywell established three water treatment plants by November 2014, and the chemicals cleanup site removed 7 tons of mercury. In November 2015, Audubon New York gave the Thomas W. Keesee, Jr. Conservation Award to Honeywell for its cleanup efforts in “one of the most ambitious environmental reclamation projects in the United States.” By December 2017, Honeywell completed dredging the lake and, later that month, the Department of Justice filed a settlement requiring Honeywell to pay a separate $9.5 million in damages, as well build 20 restoration projects on the shore to help repair the greater area surrounding the lake. In 2005, the state of New Jersey sued Honeywell, Occidental Petroleum, and PPG to compel cleanup of more than 100 sites contaminated with chromium, a metal linked to lung cancer, ulcers, and dermatitis. In 2008, the state of Arizona made a settlement with Honeywell to pay a $5 million fine and contribute $1 million to a local air-quality cleanup project, after allegations of breaking water-quality and hazardous-waste laws on hundreds of occasions between the years of 1974 and 2004. In 2006, Honeywell announced that its decision to stop manufacturing mercury switches had resulted in reductions of more than 11,300 kg, 2800 kg, and 1500 kg respectively of mercury, lead, and chromic acid usage. The largest reduction represents 5% of mercury use in the United States. The EPA acknowledged Honeywell's leadership in reducing mercury use through a 2006 National Partnership for Environmental Priorities (NPEP) Achievement Award for discontinuing the manufacturing of mercury switches. On March 10, 2013, the WSJ reported that Honeywell was one of sixty companies that shielded annual profits from U.S. taxes. In December 2011, the non-partisan liberal organization Public Campaign criticized Honeywell International for spending $18.3 million on lobbying and not paying any taxes during 2008–2010, instead getting $34 million in tax rebates, despite making a profit of $4.9 billion, laying off 968 workers since 2008, and increasing executive pay by 15% to $54.2 million in 2010 for its top 5 executives. Honeywell has also been criticized in the past for its manufacture of deadly and maiming weapons, such as cluster bombs. [a] - Honeywell acquired a 25% stake in FLUX and a 75% stake in a new joint venture focused outside of China. ^ a b c d e f "Honeywell International, Inc. 2017 Annual Report, Form 10-K, Filing Date Feb 10, 2018". Honeywell.com. Retrieved February 23, 2018. ^ Krauskopf, Lewis (14 July 2014). "Honeywell to merge turbocharger business into aerospace unit". Reuters. Retrieved 14 October 2014. ^ "Honeywell 2013 Annual Report". Honeywell Annual Reports. Honeywell International. 31 March 2014. p. 13. Retrieved 14 October 2014. ^ a b c d "HON 8-K 7/22/2016" (PDF). investor.honeywell.com. Archived from the original (PDF) on 17 August 2018. Retrieved 10 August 2016. ^ "Edgar Online SEC Filings FY 2007". Yahoo.brand.edgar-online.com. Retrieved September 13, 2011. ^ Ed Crooks and James Politi, Financial Times. "Honeywell chief warns on debt gridlock." Jul 12, 2012. Retrieved Jul 19, 2012. ^ "David M Cote." Forbes. Retrieved Jul 19, 2012. ^ Tom Bergeron, NJBiz. "Honeywell opens 'truly awesome building' in Morris Plains." November 16, 2015. Retrieved May 17, 2017. ^ a b "Honeywell Announces Move Of Global Headquarters To Charlotte". Honeywell. Retrieved 2018-11-30. ^ a b c d e f Votteler, Thom, ed. (2003). International Directory of Company Histories (50 ed.). Detroit: St. James Press. pp. 231–235. Retrieved 13 January 2015. ^ a b c d e f g h i j k l m n o Rodengen, Jeffrey L. (1995). The Legend of Honeywell. Write Stuff Syndicate. ISBN 978-0-945903-25-3. ^ "Honeywell official history site". Honeywell.com. Retrieved September 13, 2011. ^ "Punched Tape Controls Aircraft In Flight" Popular Mechanics, May 1953, p. 89. ^ "COMPANY NEWS; Honeywell Backs Spinoff of Unit". Retrieved 2018-05-16. ^ "Company News;honeywell to Buy Duracraft for $283 Million". The New York Times. 1996-02-13. ISSN 0362-4331. Retrieved 2018-05-16. ^ "The U.S. Nuclear Weapons Complex: Major Facilities". Union of Concerned Scientists. Retrieved 2018-05-16. ^ "Pantex | Defense Nuclear Facilities Safety Board". dnfsb.gov. Retrieved 2018-11-17. ^ Deutsch, Claudia H.; Holson, Laura M. (7 June 1999). "Allied Signal And Honeywell To Announce Merger Today". ^ Grant, Tina, ed. (2000). International Directory of Company Histories. 33. Detroit: St. James. pp. 334–337. Retrieved 14 January 2015. ^ Van, Jon (21 December 1999). "Pittway Shares Leap On News Of Honeywell Deal". ^ "GE/Honeywell: Engine failure". The Economist. 5 July 2001. ^ Elliott, Michael (8 July 2001). "The Anatomy of the GE-Honeywell Disaster". TIME. ^ "Honeywell in Russia". Retrieved 2013-07-18. ^ "Honeywell 2015 Fact Sheet". ^ "Honeywell International Inc". Wall Street Journal. Retrieved 22 January 2015. ^ "December 13, 2004". BBC News. December 13, 2004. Retrieved September 13, 2011. ^ The offer was £798m or £1.85 per share for each Novar share, with another £331m for preference shares and debt. ^ "Honeywell Completes Acquisition of Novar plc; Final Clearance from European Commission Confirmed — Business Wire, March 31, 2005". Findarticles.com. March 31, 2005. Retrieved September 13, 2011. ^ Novar also had two other divisions, IAS and SPS, which Cote indicated would be sold quickly because although strong businesses in their respective industries they did not fit with the Honeywell portfolio. ^ a b Tullo, Alexander (10 October 2005). "Honeywell Buying Dow Share of UOP". Chemical & Engineering News. American Chemical Society. Retrieved 7 October 2014. ^ a b Korn, Melissa (20 May 2010). "Honeywell to Buy Sperian for $1.4 Billion". online.wsj.com. The Wall Street Journal. Retrieved 8 October 2014. ^ Tess Stynes, The Wall Street Journal. “Honeywell Buys Remaining UOP Russell Stake for $240 Million.” Jan 6, 2016. Jan 8, 2016. ^ Street Insider. “Honeywell (HON) Announces Completion of $480M Xtralis Acquisition.” April 1, 2016. April 1, 2016. ^ Joshua Jamerson, The Wall Street Journal. “Honeywell, Google Settle Lawsuit Over Nest Labs Thermostat.” May 6, 2016. May 9, 2016. ^ Urvaksh Karkaria, WABE. “Why Honeywell Picked Atlanta As Its New Technology Hub.” Sept. 16, 2016. Sept. 16, 2016. ^ Trubey, J. Scott (12 September 2016). "Honeywell announces division HQ, software center in Atlanta". Atlanta Journal-Constitution. Retrieved 29 December 2017. ^ Mann, Ted (June 28, 2016). "Honeywell CEO Cote to Step Down in March". The Wall Street Journal. Retrieved May 18, 2017. ^ PR Newswire. “Honeywell Announces Planned Portfolio Changes.” October 10, 2017. ^ "Honeywell Revenue 2006-2018 | HON". macrotrends.net. Retrieved 2018-10-30. ^ "New Employee Orientation". Honeywell International. Honeywell International. Archived from the original on November 24, 2014. Retrieved October 30, 2014. ^ "Honeywell Acronyms List". Honeywell International. Honeywell International. Retrieved 30 October 2014. ^ a b c d e "Honeywell 2013 Annual Report". Honeywell Annual Reports. Honeywell International. 31 March 2014. pp. 1–4, 10. Retrieved 6 October 2014. ^ "Honeywell 2014 Fact Sheet". Honeywell Investor Toolbox. Honeywell International. p. 3. Retrieved 6 October 2014. ^ Airtrafficmanagement.net. “Honeywell’s SmartPath launches at Malaga.” May 6, 2014. Retrieved May 7, 2014. ^ "Honeywell Divests Friction Materials, Reorganizes". Zacks Investment Research. 25 July 2014. Retrieved 8 October 2014. ^ Russell, Kendall (17 April 2018). "Honeywell, Ball to Develop Optical Communication Links - Via Satellite -". Via Satellite. Retrieved 21 April 2018. ^ Security Sales. "Honeywell Buys SCAME to Strengthen Fire and Gas Products Portfolio." Dec 07, 2017. Retrieved Dec 13, 2017. ^ a b c d e f "Honeywell 2013 Annual Report". Honeywell Annual Reports. Honeywell International. 31 March 2014. pp. 4–6. Retrieved 6 October 2014. ^ Tilley, Aaron (13 October 2013). "Honeywell Is Giving Utility Companies Access To Your Thermostat (But Only If You Want)". Forbes. Retrieved 1 October 2014. ^ DePass, Dee (11 June 2012). "Honeywell gets Smart Grid division". Star Tribune. Retrieved 1 October 2014. ^ Clancy, Heather (11 June 2014). "Honeywell joins forces with Fort Bragg on networked microgrid". GreenBiz. Retrieved 1 October 2014. ^ Parmoita Dey, Construction Week Online. “Honeywell launches new building management system.” June 22, 2016. June 24, 2016. ^ Smarthomes, Honeywell. "About Honeywell Smarthomes". ^ STYNES, TESS (10 December 2012). "Honeywell to Buy Intermec for $600 Million". Wall Street Journal. Retrieved 1 October 2014. ^ "Honeywell 2013 Annual Report". Honeywell Annual Reports. Honeywell International. 31 March 2014. Retrieved 6 October 2014. ^ "Honeywell 2013 Annual Report". Honeywell Annual Reports. Honeywell International. 31 March 2014. p. 8. Retrieved 6 October 2014. ^ "Honeywell 2014 Fact Sheet". Honeywell Investor Toolbox. Honeywell International. p. 4. Retrieved 6 October 2014. ^ a b c d e f "Honeywell 2013 Annual Report". Honeywell Annual Reports. Honeywell International. 31 March 2014. pp. 8–9. Retrieved 6 October 2014. ^ "Hrol". Octane Week. v20 (i39). 10 October 2005. p. 7. ISSN 1072-8740. ^ "Honeywell to spin off its $1.3 billion resins and chemicals business". Reuters. 2016-05-12. ^ "Board of Directors - Honeywell". investor.honeywell.com. Retrieved 23 April 2018. ^ Solomon, Shoshanna. "Honeywell-Nextnine deal illustrates owners' dilemma: Sell or hold". Times of Israel. Retrieved 8 February 2018. ^ Narayanan, Aparna (13 December 2017). "Honeywell Seen Lowballing 2018 Earnings Outlook But This Is A Concern | Stock News & Stock Market Analysis - IBD". Investor's Business Daily. Retrieved 8 February 2018. ^ Sutherland, Brooke (27 December 2017). "Honeywell's Adamczyk Is Right for The Times". Bloomberg.com. Retrieved 8 February 2018. ^ Black, Shannon. "Honeywell Completes Acquisition of Com Dev International - Market Realist". marketrealist.com. Retrieved 9 December 2016. ^ Bannister, Adam (2 March 2016). "Honeywell Acquires RSI Video Technologies as Consolidation in Security Tech Market Continues - IFSEC Global". IFSEC Global. Retrieved 9 December 2016. ^ Black, Thomas. "Honeywell Buys Supply-Chain Firm in Return to Bite-Size M&A". Bloomberg.com. Retrieved 9 December 2016. ^ "Honeywell (HON) Announces Completion of $480M Xtralis Acquisition". Honeywell. Honeywell. April 1, 2016. Retrieved April 1, 2016. ^ "Honeywell Acquires Movilizer, Leader In Simplifying Operations For Remote Connected Workers". Honeywell. Honeywell. March 1, 2016. Retrieved January 8, 2016. ^ Stynes, Tess (January 8, 2016). "Honeywell Honeywell Buys Remaining UOP Russell Stake for $240 Million". The Wall Street Journal. PR Newswire. Retrieved January 8, 2016. ^ "Honeywell Completes Acquisition of Research Chemicals Business From Sigma-Aldrich". PR Newswire. December 15, 2015. Retrieved December 15, 2015. ^ Bray, Chad (July 28, 2015). "Honeywell to Buy Elster for $5.1 Billion". The New York Times. Retrieved August 10, 2015. ^ "Honeywell Completes Acquisition of Datamax-O'Neil to Deliver Enhanced Workflow Performance". Enterprisemobilityexchange.com. Archived from the original on June 27, 2015. Retrieved November 14, 2015. ^ Hardcastle, Jessica Lyons (26 October 2012). "Honeywell Acquires Saia Burgess Controls for $130m". energymanagertoday.com. Business Sector Media, LLC. Retrieved 8 October 2014. ^ Whiteman, Lou (December 10, 2012). "Honeywell acquires Intermec for $600M". thedeal.com. The Deal. Archived from the original on October 16, 2014. Retrieved October 8, 2014. ^ "Honeywell Closes RAE Acquisition - Analyst Blog". nasdaq.com. Zacks.com. 6 June 2013. Retrieved 8 October 2014. ^ Nacelewicz, Tess (25 January 2012). "Honeywell acquires Fire Sentry". securitysystemsnews.com. United Publications Inc. Retrieved 8 October 2014. ^ "Honeywell Acquires INNCOM". Finance.yahoo.com/. Zacks.com. 6 June 2012. Retrieved 8 October 2014. ^ CHAUDHURI, SAABIRA (1 October 2012). "Honeywell to Buy Stake in Thomas Russell for $525 Million". wsj.com. The Wall Street Journal. Retrieved 8 October 2014. ^ Daley, Will (13 June 2011). "Honeywell International to Acquire EMS Technologies for About $491 Million". bloomberg.com. bloomberg. Retrieved 8 October 2014. ^ "Honeywell Acquires IRIS Systems Inc". powderbulksolids.com. UBM Canon. 4 August 2011. Retrieved 8 October 2014. ^ Whiteman, Lou (November 1, 2011). "Honeywell buys King's Safetywear for $338M". thedeal.com. The Deal. Archived from the original on October 16, 2014. Retrieved October 8, 2014. ^ Nusca, Andrew (7 May 2010). "Honeywell acquires Akuacom; automated demand response for smart grid". smartplanet.com. CBS Interactive. Retrieved 8 October 2014. ^ Mintchell, Gary (1 August 2010). "Honeywell Completes Acquisition of Matrikon". automationworld.com. Summit Media Group, Inc. Retrieved 8 October 2014. ^ Marino, Jonathan (22 July 2010). "Honeywell Snaps Up E-Mon". themiddlemarket.com. SourceMedia. Retrieved 8 October 2014. ^ Tausch, Henri (5 September 2009). "Honeywell acquires RMG Regel + Messtechnik". controlengeurope.com. IML GROUP PLC. Retrieved 8 October 2014. ^ "Ackermann by Honeywell: History". Ackermann-clino.com. Archived from the original on January 5, 2016. Retrieved November 14, 2015. ^ "HONEYWELL.docx (business policy)". scribd.com. Scribd Inc. 2013. Retrieved 8 October 2014. ^ a b Puishys, Joe (17 April 2006). "Honeywell Acquires Energy Services Group". achrnews.com. BNP Media. Retrieved 8 October 2014. ^ Gutierrez, Carl (28 April 2008). "Honeywell Captures Metrologic". forbes.com. Forbes.com LLC. Retrieved 8 October 2014. ^ "Honeywell to Buy IAC". aviationtoday.com. Access Intelligence, LLC. 13 June 2008. Retrieved 8 October 2014. ^ "Honeywell to acquire combustion equipment vendor Callidus Technologies". chemengonline.com. Access Intelligence, LLC. 22 October 2008. Retrieved 8 October 2008. ^ "Honeywell acquires Norcross Safety Products for $1.2B". Reliableplant.com. Retrieved 2015-11-14. ^ "Honeywell acquires advanced process control and optimization business from PAS". plantservices.com. Control Global. 2007. Retrieved 8 October 2014. ^ "Honeywell agrees to buy Dimensions Int'l for $230 mln". marketwatch.com. MarketWatch, Inc. 22 May 2007. Retrieved 8 October 2014. ^ "Honeywell buys analytics maker ActivEye". Securitysystemsnews.com/. United Publications Inc. 1 March 2007. Retrieved 8 October 2014. ^ "Honeywell to Acquire Burtek Systems". sdmmag.com. BNP Media. 1 June 2007. Retrieved 8 October 2014. ^ "Honeywell acquires Ex-Or". Modern Building Services. Portico Publishing Ltd. 5 August 2007. Retrieved 8 October 2014. ^ "Honeywell acquires Enraf Holding B.V." pacetoday.com.au. Cirrus Media. 2 August 2007. Retrieved 8 October 2014. ^ Hannagan, Charley (15 October 2007). "Honeywell Buys Hand Held Products". syracuse.com. Syracuse Media Group. Retrieved 8 October 2014. ^ "Honeywell Acquires Maxon". achrnews.com. BNP Media. 24 December 2007. Retrieved 8 October 2014. ^ "Honeywell acquires First Technology share capital". Filtration Industry Analyst. 2006 (4): 2. April 2006. doi:10.1016/s1365-6937(06)71090-5. ^ "Honeywell To Buy Gardiner Group". Electricalmarketing.com/. Penton. 9 March 2006. Retrieved 8 October 2014. ^ Funk, Dale (1 January 2005). "Honeywell to buy Novar to enhance automation and control solutions business". Electrical Wholesaling. Penton. Retrieved 8 October 2014. ^ "Honeywell Completes Acquisition of Zellweger Analytics". securityinfowatch.com. Cygnus Business Media. 7 July 2005. Retrieved 8 October 2014. ^ "Honeywell to acquire InterCorr International". controlglobal.com. Control Global. 15 June 2005. Retrieved 8 October 2014. ^ "TRIDIUM, INC. Company Profile". Hoover's. Hoover's Inc. 8 October 2014. Retrieved 8 October 2014. ^ "Honeywell acquires Hymatic to expand European presence". Aviationweek.com/. Penton. 13 January 2004. Retrieved 7 October 2014. ^ "Genesis Cable Acquired by Honeywell". sdmmag.com. BNP Media. 29 July 2004. Retrieved 7 October 2014. ^ "Honeywell appoints HomMed president". bizjournals.com. American City Business Journals. 20 March 2007. Retrieved 7 October 2014. ^ "Honeywell Acquires Aube Technologies". Air Conditioning Heating & Refrigeration News. 223 (3): 6. 20 September 2004. Retrieved 7 October 2014. ^ "Honeywell Acquires Vindicator". sdmmag.com. BNP Media. 1 October 2004. Retrieved 7 October 2014. ^ "Acquisition should be right fit for all involved". Billingsgazette.com/. The Billings Gazette. 21 January 2007. Retrieved 7 October 2014. ^ "Honeywell Acquires Edgelinx Systems". securitysales.com. EH Publishing. 12 May 2004. Retrieved 7 October 2014. ^ Mather, Lee (December 2004). "Honeywell Acquires GEM". Advanced Packaging. 13 (12): 10. Retrieved 7 October 2014. ^ "Company Overview of Silent Witness Enterprises Ltd". Investing.businessweek.com/. Bloomberg. 7 October 2014. Retrieved 7 October 2014. ^ "Honeywell buying Sensotec to increase sensor, wireless capabilities". Control Engineering. 1 March 2003. ISSN 0010-8049. Retrieved 7 October 2014. ^ "Honeywell Acquires Baker Electronics". ainonline.com. The Convention News Co., Inc. 14 January 2008. Retrieved 7 October 2014. ^ "MERGERS & ACQUISITIONS". securitysolutions.com. Penton Media, Inc. 1 April 2003. Archived from the original on 20 June 2005. Retrieved 7 October 2014. ^ "Honeywell Acquires FutureSmart, Olympo Controls". SDM: Security Distributing & Marketing. 33 (12): 28. December 2003. Retrieved 7 October 2014. ^ Zurier, Steve (20 January 2004). "Futuresmart bought". builderonline.com. Hanley Wood Media, Inc. Retrieved 7 October 2014. ^ "Kolon sells nylon-film lines to Honeywell for $26.7m". Asian Chemical News. 9 (403): 8. June 2003. ^ McDowell, Maurice (February 2003). "Honeywell - the new preferred brand name for security products and systems". securitysa.com. Technews Publishing (Pty) Ltd. Retrieved 7 October 2014. ^ "Honeywell to Acquire Sensor Systems Business from Invensys plc". Electrical Marketing. Electrical Marketing. 30 August 2002. Retrieved 7 October 2014. ^ "Chadwick-Helmuth Company Inc". Innovation Development Institute, LLC. 5 October 2011. Retrieved 7 October 2014. ^ "Honeywell buys helicopter vibration monitoring specialist". Aviation Week. Penton. 8 July 2002. Retrieved 7 October 2014. ^ "SDM: Security Distributing & Marketing". 33 (2). February 2003. ^ "Mora Moravia ended with a solid fuel boiler". Novinky.cz. Seznam.cz, Inc. 21 July 2003. Retrieved 7 October 2014. ^ Longmore-Etheridge, Ann (1 March 2014). "Business news". Security Management. 50 (3): 132. ISSN 0145-9406. ^ "Center for Public Integrity analysis of EPA documents". Publicintegrity.org. April 26, 2007. Archived from the original on June 12, 2008. Retrieved September 13, 2011. ^ "United States Environmental Protection Agency". Yosemite.epa.gov. November 30, 2001. Retrieved September 13, 2011. ^ Newman, Maria (May 17, 2003). ""Court Orders Honeywell To Clean Up 34 Acre Site", New York Times, May 17, 2003". New York Times. Retrieved 2013-07-10. ^ "Onondaga Lake Cleanup Progress - November" (PDF). Onondaga Lake Cleanup. Retrieved 14 January 2015. ^ Coin, Glenn (6 November 2017). "Honeywell receives Audubon's highest award for Onondaga Lake cleanup". syracuse.com. Retrieved 17 August 2018. ^ a b Coin, Glenn. "Honeywell will pay $9.5 million for Onondaga Lake restoration project costs". syracuse.com. Retrieved 11 January 2018. ^ Tina Kelley (May 4, 2005). ""New Jersey Sues to Force 3 Companies to Clean Up Chromium Pollution at 106 sites," New York Times, May 4, 2005". The New York Times. New Jersey. Retrieved September 13, 2011. ^ Richardson, Ginger D. (August 8, 2008). ""Honeywell to pay $5 mil in Valley-pollution settlement", Arizona Republic, August 8, 2008". Azcentral.com. Retrieved September 13, 2011. ^ Thurm, Scott; Linebaugh, Kate (March 11, 2013). "More U.S. Profits Parked Abroad, Saving on Taxes". The Wall Street Journal. ^ Portero, Ashley (2011-12-09). "30 Major U.S. Corporations Paid More to Lobby Congress Than Income Taxes, 2008–2010". International Business Times. Archived from the original on December 26, 2011. Retrieved December 26, 2011. ^ Sledge, Matt (2014-12-16). "How The CIA Twisted The Legacy Of A Vietnam War Protest To Justify Torture". Huffington Post. Huffingtonpost.com. Retrieved 2015-11-14. ^ "Honeywell to buy 25 percent of Chinese supply chain software firm". Reuters. 2017. Retrieved 8 March 2018. Wikimedia Commons has media related to Honeywell.